Stone Street organic coffee is a pretty interesting brand. They are currently hanging out at 4.6 stars on Amazon, along with sporting a badge for Amazon's Choice. Amazon seems to love their coffee and the people do too. Let's see if it holds up to some of the others we have gone through. The roast from Stone Street Organic Coffee that we will be looking closely at today is their Organic Dark roast. Being a dark roast, it is going to be fairly strong. It has a robust, bold and full-bodied flavor, with notes of chocolate and caramel. While it is a stronger coffee, it is not overly acidic or overpowering. It's strong taste matched by its silky and smooth feel. Leaving you with a balanced taste. The Organic Dark roast from Stone Street Organic Coffee is sourced from just two areas. These beans come from Indonesia and South America. Even though it is not single origin, the beans from both of these locations are grown organically. Stone Street Organic Coffee also conducts mold tests on their beans before they roast them. This ensures that there is no mold that could contaminate the entire roast. In addition, they also conduct a mold test after the roast as well. So there should be no worry of cross contamination between beans from two locations. Stone Street Organic Coffee Dark Roast has a few certifications to speak of. Interestingly enough, while they are in fact organic, they do not hold the USDA seal. Instead they hold an EcoCert seal. EcoCert is typically only found in Europe as they were started in France, however they are one of the largest organic certification organizations in the world. To hold an EcoCert seal, the product must be at least 95% of natural origin and made up of at least 95% of plant ingredients are certified organic. In addition, Stone Street Organic Coffee Dark Roast is Fair Trade certified and KSA Kosher. Kosher is not often seen in the coffee industry, so it is always surprising to see this seal of certification. Fair Trade is also very important as it ensures that the farmers are fairly compensated for their work. One very interesting thing about Stone Street Organic Coffee is their bag. It is a 3-layer natural Kraft with a resealable foil. This ensures that after you take out the amount of coffee you want, you can reseal the bag to keep in the freshness. In addition, the bag also includes a one-way de-gassing valve. This allows excess air to escape the bag while not letting outside air in. Creating a loose vacuum that seals in the freshness of the beans and helps maintain its natural aroma. Stone Street Organic Coffee is a coffee company located in the heart of Brooklyn, New York City. They engage in many conservation practices including having the Rainforest Alliance certification on many of their coffees. All of the roasting is done in their facility in New York City, where they also have a cafe open to anyone. They have a number of different roasts, blends, origins, and types. This includes an entire organic coffee line, a single origin line, and all types of roasts. Their single origin coffees come from regions like Central and South America, Africa, Indonesia, and various islands. All of their organic coffees are certified by EcoCert, Fair Trade certified, and are also certified Kosher. Stone Street Organic Coffee Dark Roast has an amazing flavor that is loved by many a customer. While it is strong, being a dark roast, it still features a great taste. It has a robust, bold and full-bodied flavor, with notes of chocolate and caramel. All equaling to a great cup of jo. While not holding a USDA organic seal, they do hold a EcoCert organic seal. This is just as good, if not better than USDA. Their organic coffee also is Fair Trade certified and KSA Kosher. Many also include the Rainforest Alliance seal. Stone Street organic Coffee are very careful when it comes to their coffee. They conduct one mold test of their beans before the roasting happens, as well as a test after the roasting. This is to make sure there is no cross contamination with beans from two or more origins. The bag used by Stone Street Organic Coffee is basically a stay fresh bag. With 3 layers and a resealable top, you can lock in the freshness after each use. In addition, it also features a de-gassing seal which releases any excess air inside while keeping outside air, out. The only con there really is about this coffee is about the company. They are not a full fledged organic coffee company. They only deal in organic coffee. In addition, their regular coffee that they sell is not Fair Trade certified or holds any other certifications. So that is a little disappointing. This organic dark roast is a pretty great roast if you like stronger coffee. The deep flavor notes pair perfectly with the overall taste of the coffee. Plus you can rest assured that it is certified organic, fair trade, and if you are Jewish this coffee is also Kosher. Even though the rest of the coffee from Stone Street may not hold up to the same standards as their organic line, the organic coffee is in fact a great choice. Stone Street Organic Coffee sure does have some great coffee. Their Organic Dark is perfect for those looking for a stronger yet smooth taste. Right now you can grab yourself a 1 pound bag for $14.99, ground or whole bean, on Amazon. For more information of the best organic coffee, check out our ultimate buyers guide at Green and Growing. 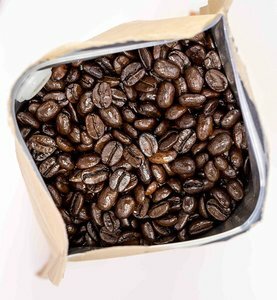 Here are some top questions that I found for people seriously considering buying Stone Street Organic Coffee. Can this be used for a cold brew? Yes, and it turns out wonderfully. Is this Dark roast chocolate flavored? No, the chocolate and caramel are simply the flavor notes, natural to the bean. There is no additional flavoring. Is the bag resealable? Yes, the special design of the bag allows for maximum freshness and taste.